Bundling up for winter doesn’t mean looking bulky. 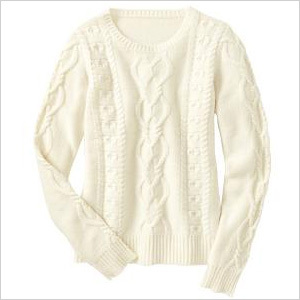 These chic sweaters (all under $50!) will keep you warm and slim at the same time. The snow is falling, and you can’t even think about going outside without your heaviest coat. It seems the only way to keep from freezing to death is by layering on the biggest, bulkiest knit in your closet. But don’t sacrifice your shape for warmth! These stylish sweaters will instantly slim you down, while keeping you oh-so-toasty — even during winter’s most bitter days. Say hello to your new best friend — the cable knit. Not only can you wear it with just about everything (try your pencil skirt for the office and your go-to jeans for the weekend), but the subtle, vertical detailing instantly elongates your shape, creating a streamlined torso. 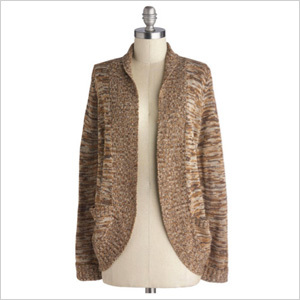 An open cardigan magically lengthens your frame by creating lines that run up and down your body. Just make sure you pair something semi-lightweight underneath to avoid looking chunky with excess fabric. A simple way to look totally slim? 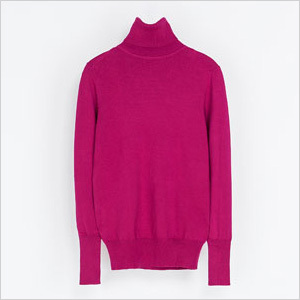 Rock a turtleneck! Why? Because the covered neck detailing draws attention upwards to your face, and distracts from any problem areas you may have in your midsection. Try one in black for even more of a slimming effect. A slightly oversize v-neck sweater is genius for a few reasons. The flowy detailing masks any extra tummy weight, while the v-neck brings the focus to the upper part of your body. 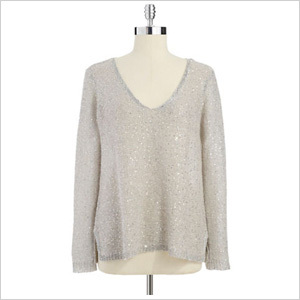 Find one with slimmer sleeves to balance out the bagginess. Cinch in your waist (the smallest part of your body) with a belted sweater. Not only is the look super on-trend, but you’ll appear 10 pounds thinner because of the hourglass silhouette.